Rudy Giuliani, Trump's slavish personal friend and lawyer, is a Contrary. Have you ever heard of a "Contrary?" It's was a term used by Native Americans who lived in the Great Plains. Members of the tribe, in this case the Amerindian Indians, who decided to live doing everything backwards and practicing contrary behavior, lived in a small cult within the tribe. Thus far, everything we've heard from Giuliani, since he suddenly popped into the picture, seems to have caused multiple embarrassments for Trump. The opposite of what you'd think a lawyer should be doing for a client. We all know how Donny is looking forward to bumping bellies with Kim in three days, and the last thing he wants is to have the negotiations called to a halt. Again. 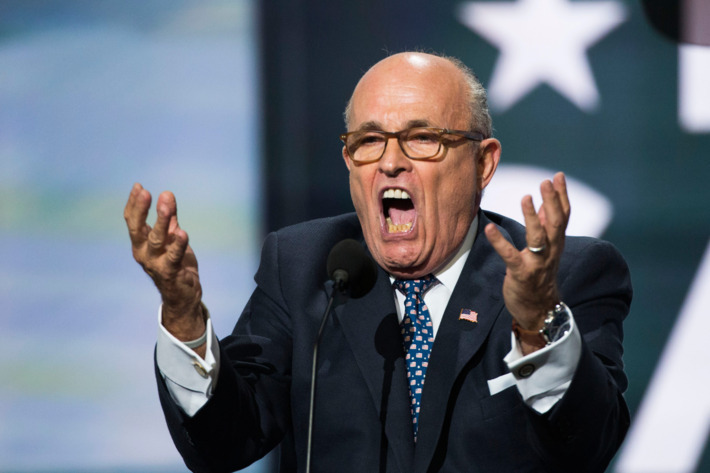 So what does the mouth that roared, Giuliani, tell CNN the other day? He bragged that Kim came begging on his knees to Trump, pleading for another chance to meet. I wonder how that went over with Kim? I suppose the possibility of anyone paying attention to Trump's Contrary Giuliani, has passed by now. He's just become another odd bit player in Trump's circus of corruption.